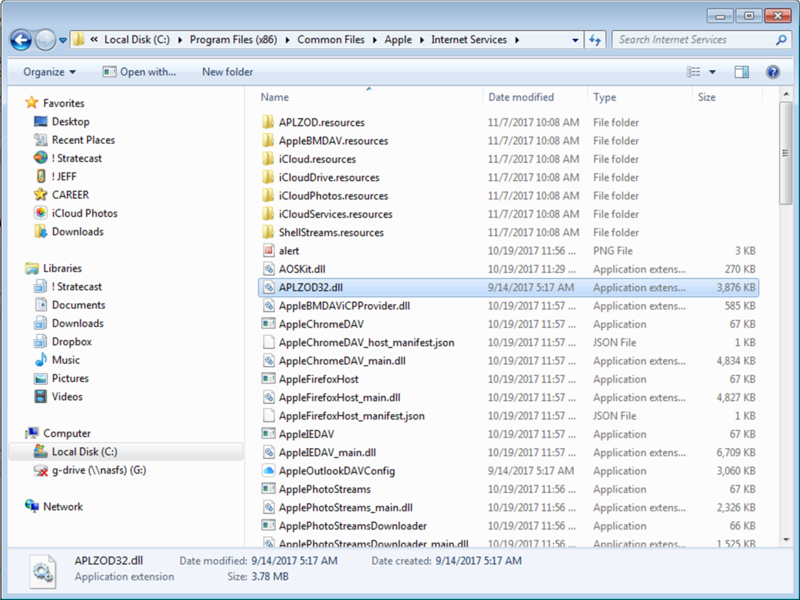 Anyway, noticing the file location paths, I typed in a separate note the file location for the iCloud Add-in shown above: C: > Program Files (x86) > Common Files > Apple > Internet Services > APLZOD32.dll. You’ll see why in a minute. The page is preset to Manage COM Add-ins, and I pressed [Go]. 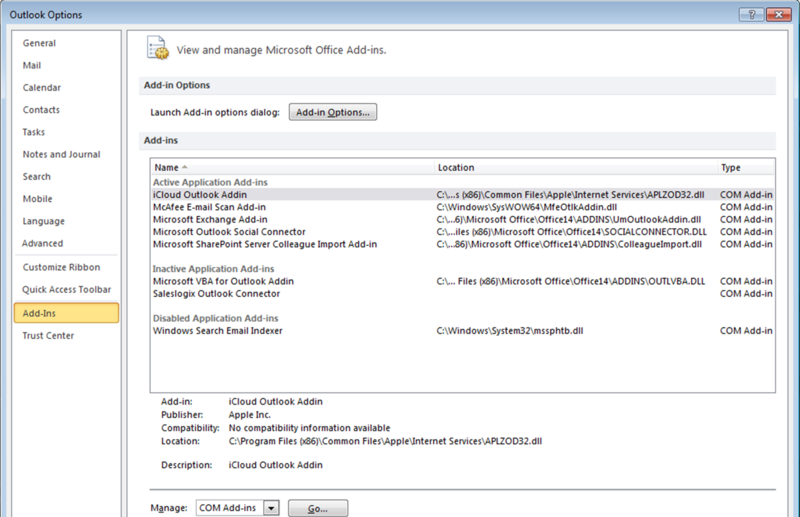 In this view I selected the Cloud Outlook Addin* to highlight it, as shown above, and pressed [Remove]. I selected the file, saw it was now listed in Active Application Add-ins, and noticed that, miracle of miracles, the [iCloud] tab at the top of the Outlook window, and the [Refresh] button, had returned. Yes, syncing iPhone to Outlook could actually be a refreshing experience again. So far so good, but any dev and probably many readers know what comes next: TESTING. I held my breath as I tested it: added and deleted Calendar and Contact items, and modified existing items, on iPhone and in Outlook, and they are now updating both ways—iPhone-to-Outlook and Outlook-to-iPhone—either immediately in front of my eyes, or when I hit Refresh. “Victory is mine”…and, if you’ve been seeking a solution to this problem: YOURS. We’re all in this together. *Whoever was in charge of placing dashes in filenames missed on the iCloud and VBA (Microsoft Visual Basic for Applications) “addins,” or as they’re widely known: Add-ins. When it comes to mobile battery life, I’ve been hurt before. For two years I owned an HTC Droid Incredible, which was a great phone but also had what I’m guessing (hoping, actually) was the worst battery life in the history of smartphones. After getting a supersized battery for it, I was often, but still not always, able to make it through the day without recharging. One of the reasons I was excited about finally getting an iPhone was anecdotal evidence of family and friends who owned iPhones and rarely if ever had to recharge their phones during the day. So I pre-ordered the iPhone 5 and made the transition from Droid rage to Apple of my ear. Our voyage begins with my new iPhone 5 in November 2012. I found multiple companies offering battery cases for it and placed my order with one on Amazon.com…then another…and another. All three had to cancel for what they stated in their cancellation emails were delays in Apple’s Made For iPhone (MFI) certification process. 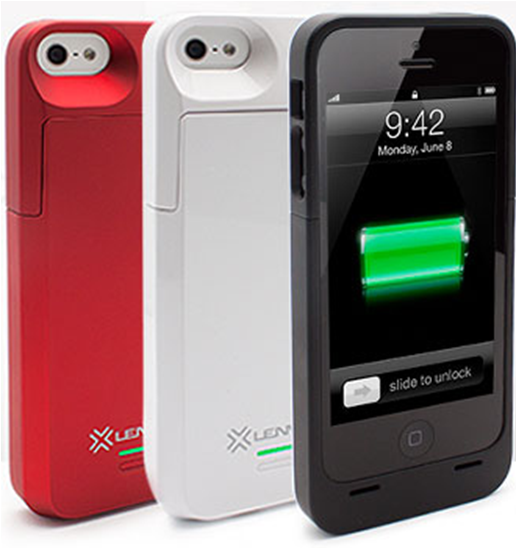 In April 2013 I received an email from Lenmar, which sells its Meridian cases for smartphones, that the Meridian for iPhone 5 was now available, and those of us who had ordered in the Fall had first dibs. That is, the Meridian, Henry Ford/Model T-style, was available as long as you wanted it in black. I had ordered it in white to match my phone, and Lenmar said red and white cases would be coming along soon. Finally, after some dialogue with those who run Lenmar’s Twitter page, in May 2013 an email hit my inbox that the red and white cases were available, and I snapped mine up. The Meridian is a good case at a good price: the highest additional charging capacity of the battery cases I’ve found in the market, 2,300 milliampere-hour, or millamp hour (mAh),** $89.99 at press time. Yet after about a week I found it was, literally, a pain to use. The Meridian has cutouts. All of these battery cases have some thickness to them–that’s where the added battery life, well, lives–and with the Meridian and some others, you have to “reach through” the case to use the iPhone’s own power button, sound on/off switch, and volume controls. Casually turning the screen on and off or adjusting the volume became a two-hand operation, which I didn’t like. More to the (pain) point, after jamming my fingers a number of times turning the power button on and off, I decided it was simply time to stop getting jammed up. The Meridian came with an accessory that appears to come as standard issue with most of these cases: a headphone extension connector. That is required equipment because all of these cases add extra length at the bottom of the iPhone, such that headphones with a right-angle connector, and even some with straight connectors, cannot reach the iPhone’s headphone jack when it is inside the battery case. In the months leading up to my Grissom High School Reunion in July 2012, I knew I wanted to do something to get in shape. When our younger daughter Heather returned home from college for the summer, she suggested juicing: blending fruits and vegetables in a specially-made juicing machine, and drinking the juice as a meal replacement. So we did that juicing “cleanse” for a month before the Reunion. Tags Airtel, Appiction, Artilium, AT&T, Bharti, Bling Software, Boost, Bratz, BT, Comcast, IBM, Iceberg, iPhone, iPod, IPTV, KPN, Mobclix, MobileFrame, MotherApp, MVNO, Netherlands, PC, Plusmo, QUALCOMM, ScollMotion, service provider, Telstra, The Gap, TV, U-verse, Ustream, Verizon, Virgin Mobile, Windows, Yahoo! 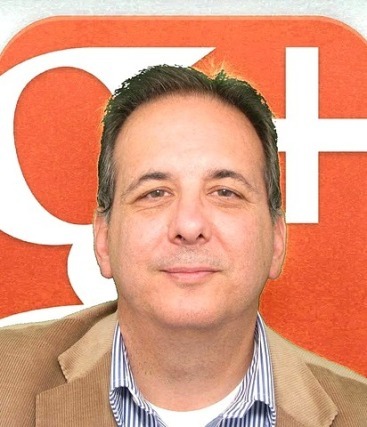 I am proud to be an invited blogger on Talent Zoo’s New Media Edge. If we may also define New Media Edge as using traditional media in a brand-new way to gain a competitive edge, here’s another opportunity I want to bring to your attention. As aptly described by Rita Chang in Ad Age Digital and tweeted here, Hippopost—brought to you by two former Research In Motion execs [read: Blackberry]—lets you create custom postcards using photos stored on your mobile device or desktop and mails them for you free of charge. The catch? You must choose a brand sponsor whose logo will appear on the card. Tags Ad Age Digital, Anguria Lab, app, Blackberry, HazelMail, Hippopost, iPhone, iPod, New Media Edge, Postage, Postino, Research In Motion, Rogue Sheep, Shoot It! Two MarketBLOG entries ago we presented a company that, despite our best efforts, remains intent on not optimizing its website to drive revenue generation and retention, let alone use social media in pursuit of those business-building (or -saving) goals. The next took responsibility for being unable to book it on the oceangoing voyage many perceive social media to be. Today’s entry shows how when we succeed in moving companies to the third stage of AIDA [remember? ]—desire, in this case the desire for a better site—they are actually primed to set sail.